The markets in general have experienced a period of MUCH lower volatility the last 8 weeks compare to most of 2018….It is a normal cycle of financial markets going between periods of low and high volatility. The main aspect of this for you as a trader is to understand that and observe how does it affect your trading or trading strategy. For me personally, I will use these “bands” as clue providers in regards to entries/ stops/ targets etc. This is another reason I like the Bollinger bands since they incorporate volatility into the study. When volatility is lower, I look for smaller profits, shorter targets and depending on risk capital, possibly increase trading size. When volatility is higher, I will get “pickier” with entries, use larger stops and target and will also look to reduce trading size if possible. The markets are always evolving and what works today may not work tomorrow. You as a trader need to evolve as well, keep notes and be a constant student of the market. Don’t get used to this lower volatility….from my past experience the volatility factor can shift very quickly and in surprising manners. Last but not least, pay attention to your trade management and trading size. Predicting and speculating on the market direction is just the first step and may even be one of the easier steps. 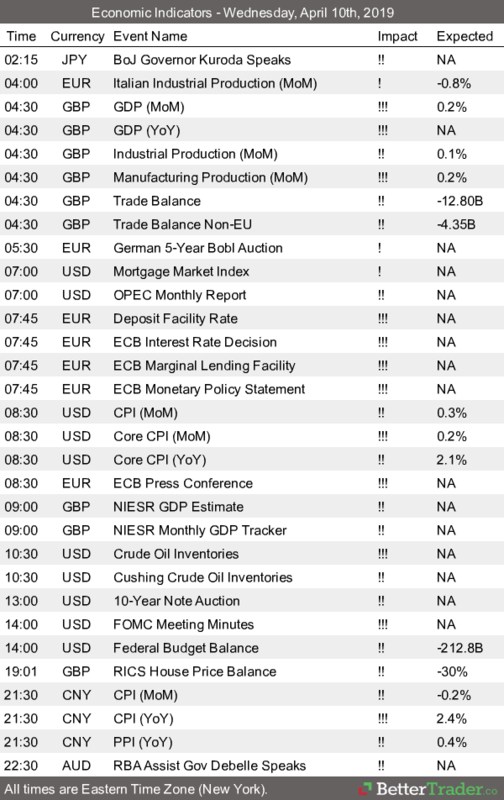 Deciding on stops, where to take profit, where to add to position or reduce position is a much more difficult task in my eyes…..
Last but not least we have FOMC minutes along with energy numbers, ECB rate decision, CPI and more tomorrow….Be ready for a change in volatility behavior. Daily Chart of Copper Futures Below: Waiting for either a break out of recent highs or possible double top – can easily go either way….